Welcome to the World of Entertainment. We at SonyLIV are entertainers at heart and we do justice to our name because we ‘LIV’ to entertain. 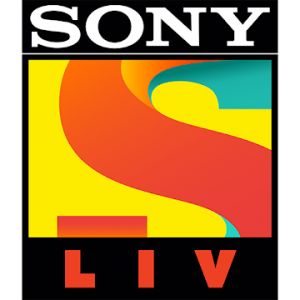 SonyLIV is a general entertainment, Video-On-Demand platform in India offering unlimited access to thousands of hours of entertainment, latest Hindi TV serials, Bollywood movies, Hollywood Movies, LIVE Sports, Original Web Series, Kids Special Content, Short-Films, LIV FIT, LIVE TV Channels and Music with the best quality streaming and a premium experience. The 21st instalment of the FIFA World Cup will be held in Russia from 14th June 2018 – 15th July 2018 and will be available to live stream on Sony Liv – Unlimited Football Match Live Streaming App. Live stream all the matches of FIFA World Cup 2018, opening ceremony, football match previews, football team previews, football tournament updates, latest scores, promos, football match and video highlights. • Cricket Matches: Complete coverage of India vs England 2018, Australia tour of South Africa 2018, Pakistan tour of Zimbabwe, Bangladesh tour of West Indies & more. • Football Tournaments: UEFA Champions League, UEFA Europra Cup, FA Cup, La Liga, Serie A, FIFA 2018, FIFA World Cup 2018, Copa Do Brasil & more. • Watch Wrestling, TNA, Pro Wrestling League, TNA Xplosion, WWE, etc. Original Web Series: Watch web-series like #LoveBytes 2, Virgin Woman Diaries, Lost & Found, Married Woman Diaries & others only on SonyLIV. LIV FIT: Learn right workout from right physical trainers, watch complete video guide to fitness from Sunil Shetty & many more celebrity fitness trainers. • Bollywood – Our library consists of movies from Bollywood superstars like Akshay Kumar, Salman Khan, Aamir Khan, Shah Rukh Khan, Priyanka Chopra, Deepika Padukone, Ranveer Singh, & more. • Hollywood collection includes movies like Spider-Man Homecoming, Rush, Blade runner 2049 and more full movies in HD Quality. • Regional – We have a wide collection of Tamil, Gujarati, Punjabi, Marathi movies in their original dialect and popular South Indian dubbed Hindi movies. • Content owners can monetize their SonyLIV apps in in any ways they wish to including the Subscription based (SVOD), and Transactional (TVOD) monetization models. • Subscription is available in Monthly (₹ 99), Quarterly (₹ 149), Yearly (₹ 499) & Super Sports 6 Months(₹ 199). • You can subscribe for SonyLIV’s premium membership for content like Live Channels, latest Bollywood movies, Regional, South dubbed Hindi movies and Hollywood movies. • Your membership will be auto renewed on the day your subscription period is about to get over. • We offer various payment modes for your convenience, such as PayTM, Ola Money, PayU Money, Credit Card/Debit Card & more.